Results from 2016 InFORM salmon monitoring representing samples from 123 fish. Oceanic monitoring data were collected in 2015. Migration routes of various fish species are indicated with dashed lines. 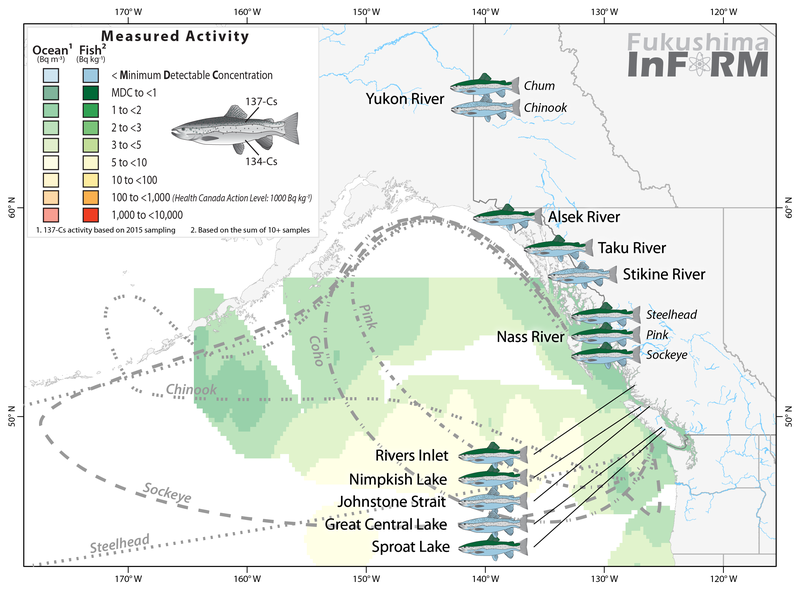 More results from InFORM’s 2016 biotic monitoring results are now available and reveal that Fukushima contamination was not detected in sampled BC salmon after initial testing. These results are an update to the earlier report on the first 20 of the 123 fish donated by First Nations from 10 rivers in British Columbia and Yukon in 2016. Nine fish did have individual levels of 137Cs detected near the minimum detectable concentration (MDC). These levels (<0.7 Bq kg-1) are not known to present a significant health risk and are ~1,400x lower than the national and international action level (1000 Bq kg-1). For perspective, you would need to consume 1000-1500 kg of salmon at this concentration of cesium to receive the same radiation dose acquired during a single cross country flight. 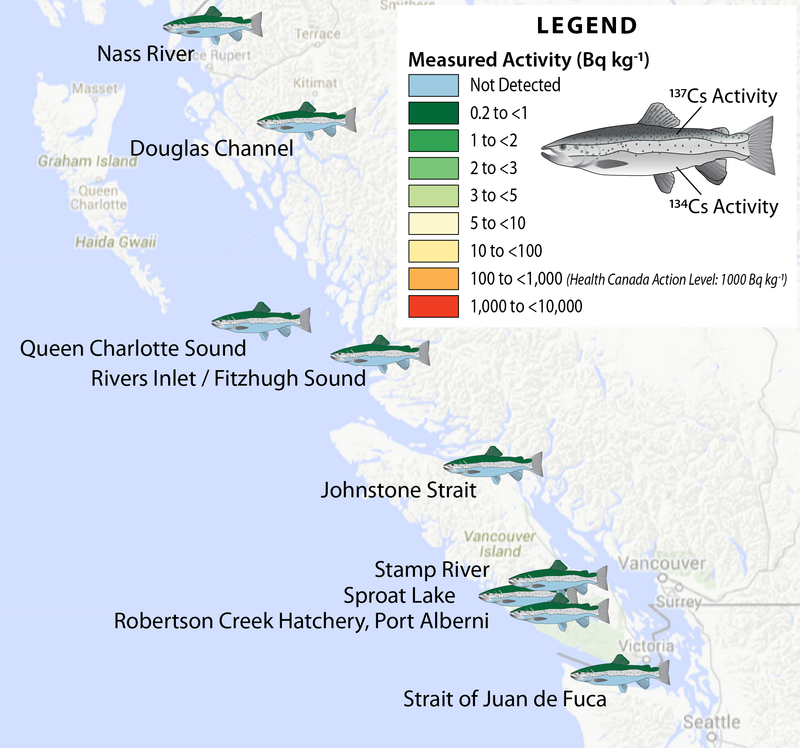 There has not been a significant increase to the total 137Cs concentration in BC salmon since InFORM monitoring began in 2014. Summary of the amount of radioactive cesium isotopes in sockeye salmon and steel head trout harvested from BC waters in 2014 (Figure by Jonathan Kellogg jkellogg@uvic.ca). The measurements undertaken as part of the InFORM project to look for Fukushima derived radionculides in fish during our first of three years of monitoring are now complete. 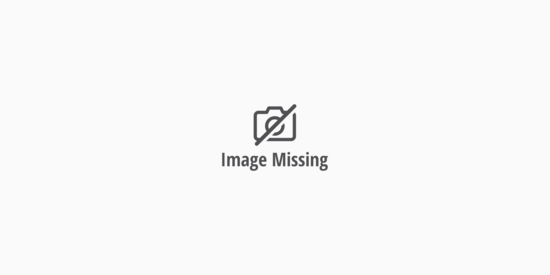 Sockeye salmon (Oncorhynchus nerka) and Steelhead Trout (Oncorhynchus mykiss) (as well as some Chinook, Chum and Pink Salmon) were caught off the west coast of Canada in Summer 2014 as they were returning to 9 different streams and rivers up and down the coast of British Columbia Canada. These results add to the first 19 fish which we reported on in December of 2014.